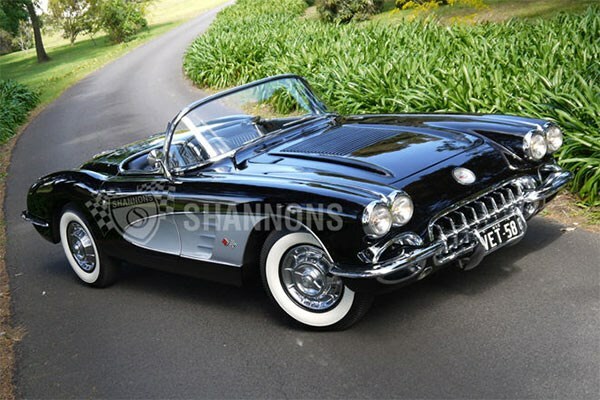 An immaculate, fully restored 1958 Chevrolet Corvette RHD Roadster was the top seller at the recent Shannons Melbourne Summer Classic Auction, bringing $100,000. 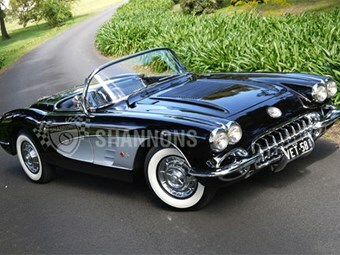 Held at Shannons' Cheltenham premises, the auction took place on Monday, 2nd December. 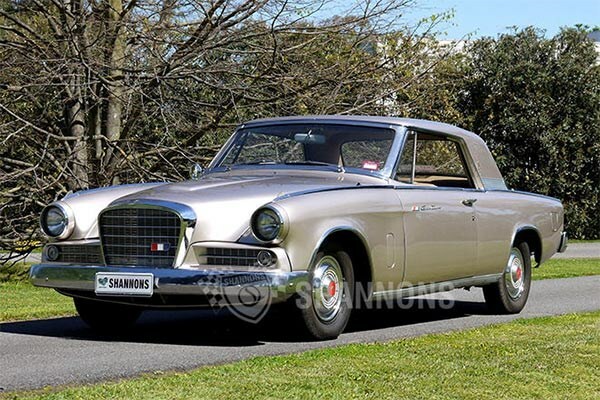 With a total of 69 lots on offer, the listings included 39 vehicles and 30 items of auto memborabilia. 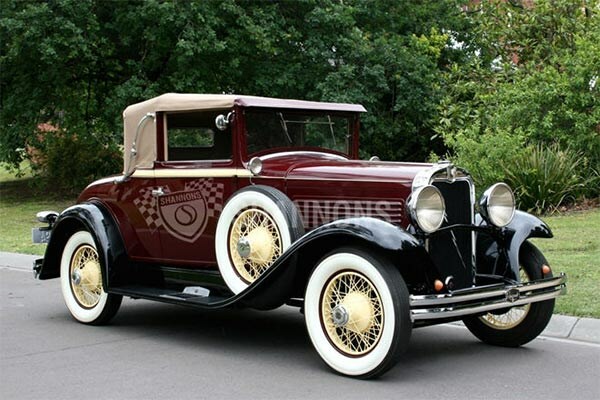 Vehicles ranged in age from vintage - including two 1929 Marmon straight-eights - to more modern muscle including a 1993 Dodge Viper RT/10 Roadster (passed in) and a 1996 Cobra Replica (Sold for $36,000). Memborabilia included posters, petrol pumps, drive-in speakers and a USA parking meter. 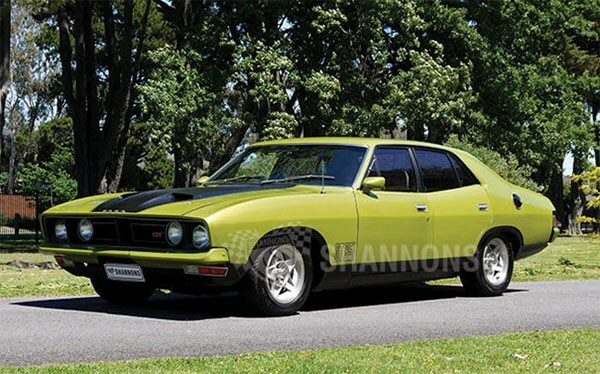 Shannons labelled the line-up of desirable Australian muscle cars "both real and unreal". 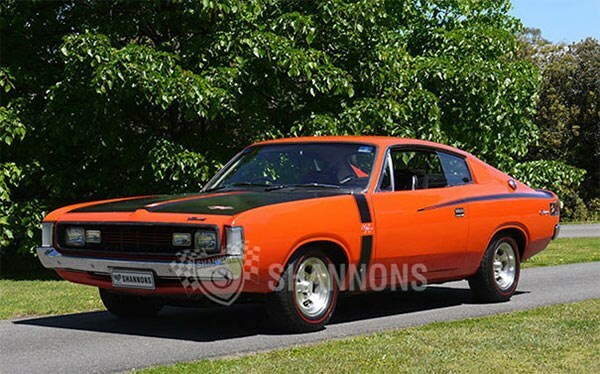 Included in the "real" muscle was a 1971 Chrysler VH Valiant E38 R/T Charger Coupe in Hemi Orange and with matching numbers (passed in with a guiding range of $75,000 - $85,000) and a 1975 Ford XB Falcon GT automatic sedan - finished in a rare factory colour of Frosted Lime Metallic and believed to have had just four owners from new - which sold for $33,000. 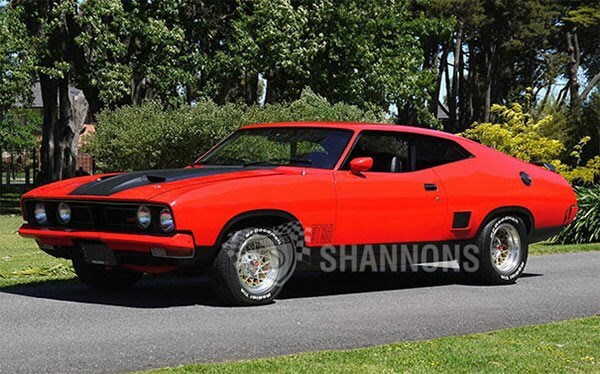 Among the 'unreal' muscle cars was a "nicely-executed" 1975 Ford XB Falcon 'GT Tribute' Coupe which sold for $39,000. Described by Shannons as having "all the looks and performance of a real XB GT but not the hefty price tag", the XB Falcon was restored to GT specifications with a 351ci V8 and 4-speed manual gearbox, then finished in a stand-out 'Guards Red' colour, complete with Hotwire mags. 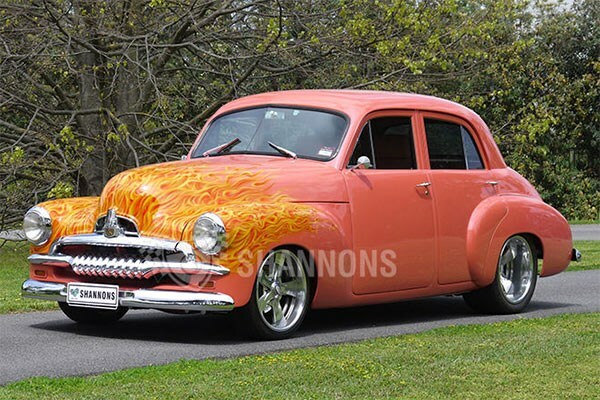 Most colourful on the night was Lot 15, a 1953 Holden FJ Modified 'Street Machine' Sedan coloured in Pearl Peach with matching interior. A professionally-built cutom FJ show car, it was former 'Street Machine of the Year' in 1996. With a guiding range of $48,000 - $54,000, the head-turning FJ was passed in. 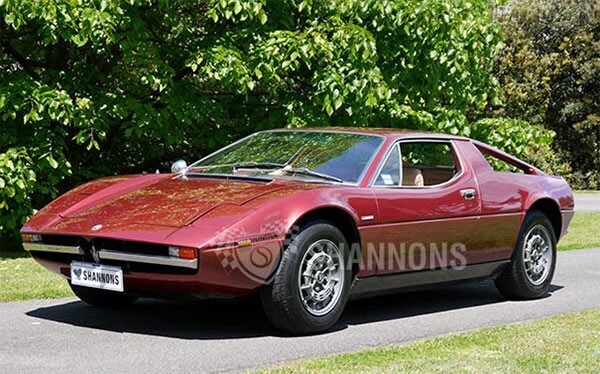 Also featured on the night was a metallic burgundy 1975 Maserati Merak Coupe owned by Spiderbait singer-drummer Kram - aka Mark Maher - which sold for $50,000. 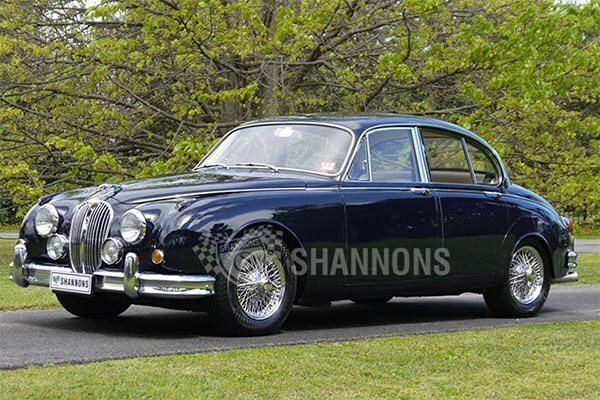 Other vehicles included a 1970 Holden HT GTS Monaro 186S Coupe which passed in (guiding range $48,000 - $56,000), a restored and upgraded 1964 Jaguar Mk II '4.2 Improved' Saloon which sold for $43,000 (exceeding its guiding range of $32,000 - $38,000), a restored 1967 Lotus Elan S3 SE Roadster which sold for $35,000 and a 1935 Packard Super Eight RHD Sedan which sold for $61,500. 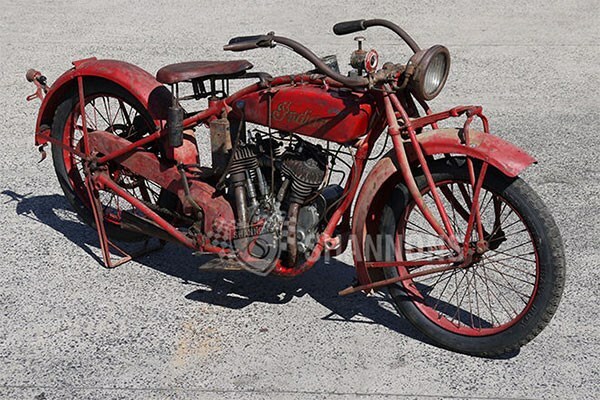 The two motorcycles auctioned included a mostly-original 1923 Indian Chief 1000cc with incomplete sidecar frame and body, which sold for $36,000 and a 1995 BMW R25/3 250cc which was passed in.